Thanks to the evil geniuses with Al-Qaeda in the Arabian Peninsula and the rise of easily-concealed PETN explosives, every single laptop battery is a suspected weapon of mass destruction capable of taking down an airplane. Naturally, any person who a vindictive Transportation Security Agent may want to harass needs to make sure that their laptop battery doesn't die during a long international layover because "powerless devices will not be permitted onboard the aircraft." A powerless device may be confiscated by the same loving and protecting government that could soon be ruled by The Honorable Donald Trump. Accordingly, if you want to protect your operating system from one of the highly-educated and polite TSA agents one is likely to find in Texas and other progressive states, you first need to get into dual-booting operating systems. The way I discovered this cloaking technique was completely by accident. I'm dual-booting Ubuntu Linux and Windows 10, but almost never use Windows. If you have a laptop running Windows, installing Ubuntu side-by-side is an easy, graphical process. 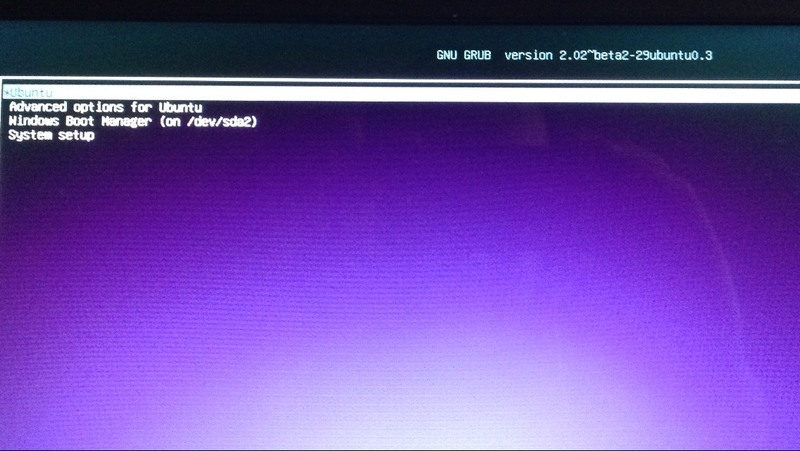 When the laptop boots, a boot loader called GRUB lets you decide which operating system you would like to select. My laptop worked magically for ages, and I only logged into Windows when I needed to update my old iPod on iTunes. Then one day, after a botched update, GRUB stopped working and the boot screen option was gone. Everytime I turned on the computer, it went straight to Windows. I panicked the first hour, thinking I had lost my Linux partition, but then got to figuring out how to recover Ubuntu. I don't know exactly how GRUB broke, and repairing it was an easy process, but I had through bad luck stumbled into a way to hide an operating system in plain sight. The trick here is to damage GRUB. With GRUB removed from a laptop, an individual would need a USB key with the right operating system in order to repair it. If a Windows laptop is stolen, it is likely that the person examining it will be a Windows specialist, therefore it is unlikely that it could occur to them to check for a damaged boot loader package. 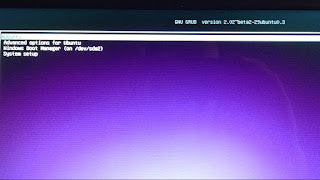 Ubuntu is the most popular version of Linux, and GRUB one of the three most common boot managers, thus making them very likely targets for hacking by the US National Security Agency. To add complexity, an encrypted, less common Linux version -- perhaps even the heretical FreedBSD -- with a very difficult boot loader repair process could mean that even if someone steals your laptop, figures out your Windows password, and goes through your files, they'll be looking through the operating system you want them to see, while your real operating system lurks in an encrypted corner of the hard drive. To fully cloak an operating system from even the most pernicious hackers at the NSA, it may require the development of an operating system that only works when a boot loader is plugged-in externally via USB, or installed from inside the Windows partition in a dual-booting system. It may just be the case that using an encrypted Linux distro with a boot loader that requires re-installing after each reboot could be the best way to protect data from casual perusal by prying government eyes. For someone to detect such a setup, they would have to first be made aware through thorough analysis of the entire hard drive that an encrypted partition exists after booting it as slave. 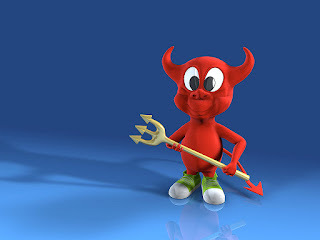 The major downside to using a cloaked operating system would be having to install the boot manager each time, but an added layer of security is that even if someone where to install a keylogger or some other surreptitious software on the Windows operating system, the real operating system would remain unaffected. Disclaimer: Abreu Report does not condone any unlawful activity. This is a research article.